Hinged and sliding flood gates for both personnel and vehicular access providing coastal and onshore flood protection; structurally designed to withstand the specified head of water and impact from floating debris if required. Stainless steel is the recommended material for coastal or exposed environments, other less exposed areas utilise a carbon steel hot dipped galvanised protected system, or optional painting or specially clad external finish. 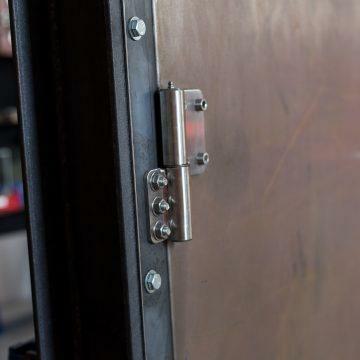 The demountable system, offer a similar construction to the flood gate solutions with compression clips used around the panel vertical connections and threshold. The panels are utilised in the event of flood alert and stored away from the opening during normal periods. Panels are supplied in modular sizes suitable for manual installation or with lifting point for larger vehicular openings.